The Passport Vista 545 is the winner of both SAIL Magazines “Flagship Monohull” and Cruising World’s “Best Full Sized Cruiser”awards for 2012. 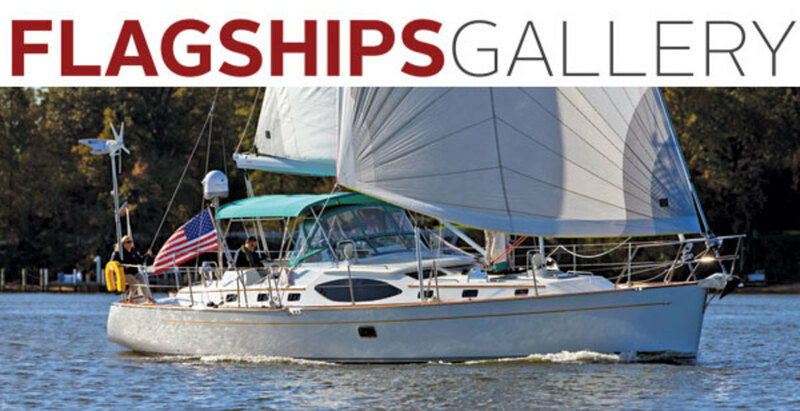 The Passport Vista 545 is the winner of both SAIL Magazines “Flagship Monohull” and Cruising World’s “Best Full Sized Cruiser”awards for 2012. Judges for both these prestigious magazines recognized the quality of this new design, as well as the exceptional attention to detail in every aspect of the construction. This spectacular new design from the drawing board of Passport Yacht’s team incorporates a Solent sailplan with a self-tending working jib and a reaching sail forward of the jib, both on robust roller furling systems. The mainsail is also standard with in-mast furling, making all three sails extremely easy-to-handle when short-handed sailing. 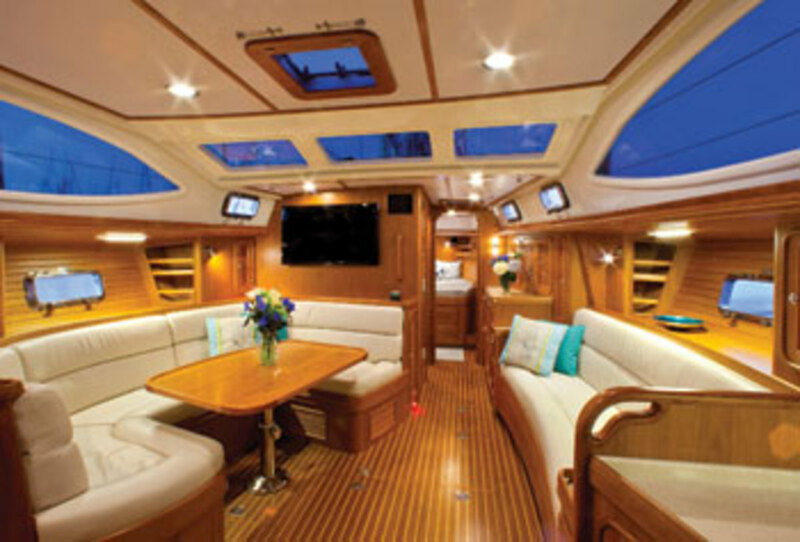 Other features of this new design that are rarely, if ever, found on yachts of this size are a very spacious aft-deck area for communal activities, voluminous fore- and aft-deck storage, two watertight bulkheads and open access to the cockpit on both sides. As with all Passports, owners can be intimately involved in the design process of their new boat. Rig and deck layouts can be customized to each owner’s criteria, with a choice of either a tall rig or an ICW height mast. While in-mast furling is standard, in-boom furling is also available. Each interior layout is custom designed to meet each owner’s needs. Two-stateroom layouts are standard, but three-stateroom layouts are available, as are two staterooms with a separate office or work room. All boats come with a very impressive walk-in engine and machinery room. The Passport Vista 545 is available in a center cockpit or dazzling aft-cockpit configuration. Each model has the same exceptional attention to detail and spectacular sailing characteristics.